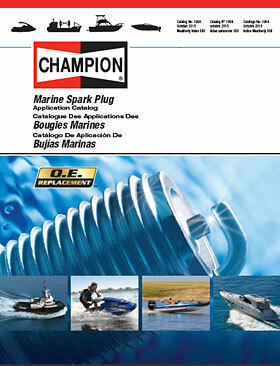 Champion spark plugs are original equipment on many outboard & inboard motors and are excellent replacements for everyday engine maintenance. Please view the inboard & outboard motor application guides below. You may also find the Champion spark plug code helpful.